We welcome you to Thoughts of Home on Thursday #8. This is where we share with one another those very special things that are near and dear to our hearts. Perhaps a special recipe or maybe some decorating tips. However, we also share even more than that. We share friendships that span from one coastline to another and in between too. a year's subscription to Southern Lady. Each of your entries in this week's party is an opportunity to win. We have quickly come to realize that we have some very talented DIY participants! In order to recognize those of you who have this gift of creativity we have added a DIY category. 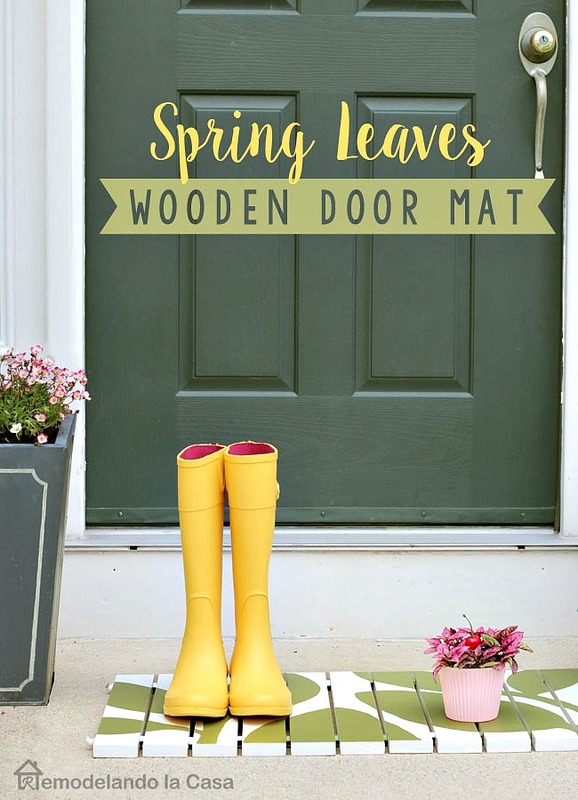 Cristina from Remodelando la Casa shares this functional and adorable welcoming doormat. Who could resist this nutritious and pretty salad served on this stunning plate that Penny has shared with us from The Comforts of Home. Join Jeanie at The Marmelade Gypsy in Massachusetts, for a walk among the gardens and a glorious historical overview of the Mount. cream ware and burlap to create an inviting eat-in kitchen. 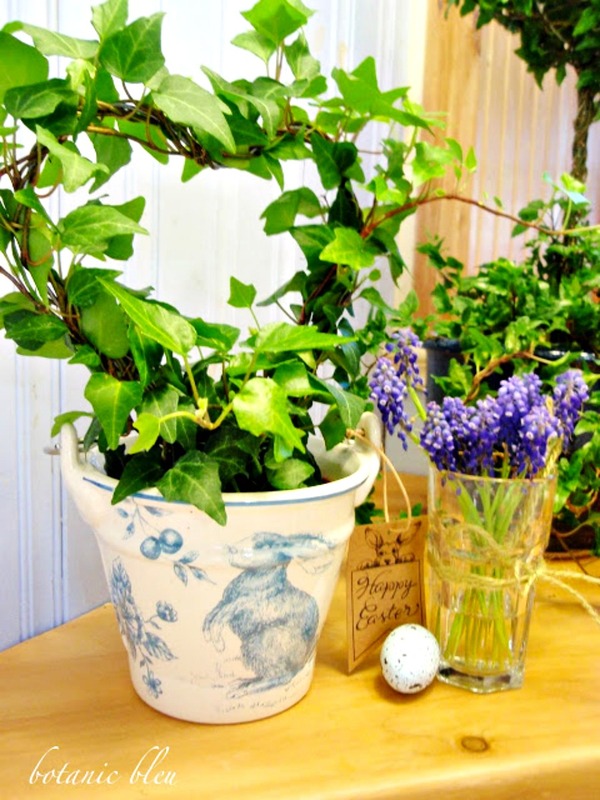 Judith at Botanic Bleu shares five useful tips on how to keep an Ivy Topiary healthy and pretty. 1. 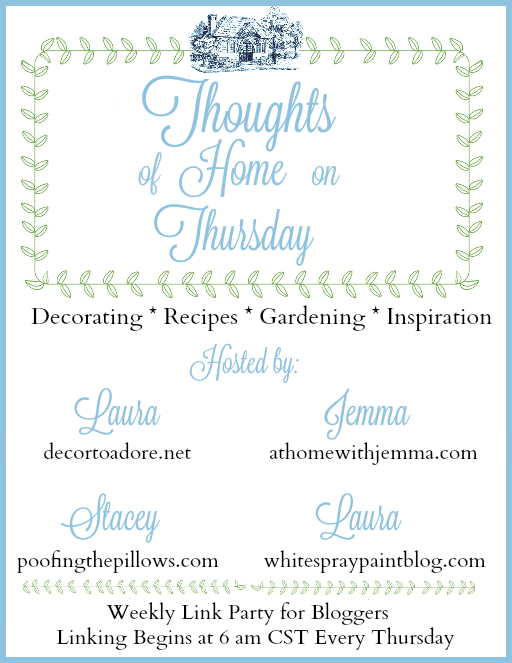 Link back to this post and follow any of your hostesses at these four blogs. 2. Share up to three of your favorite posts, remembering to not link advertising or shops. 3. Visit one another and comment. Beautiful Features!! Thanks for hosting and have a wonderful weekend! I agree, Stacey!, you have assembled some very creative participation in TOHOT. That's why I love it so much - thank you! This is such a lovely party, and highlighting the features is such a nice idea! Thanks for hosting! Lovely party as always! It's one of my favorites!! Thank you for the party Stacey! Love all the features! 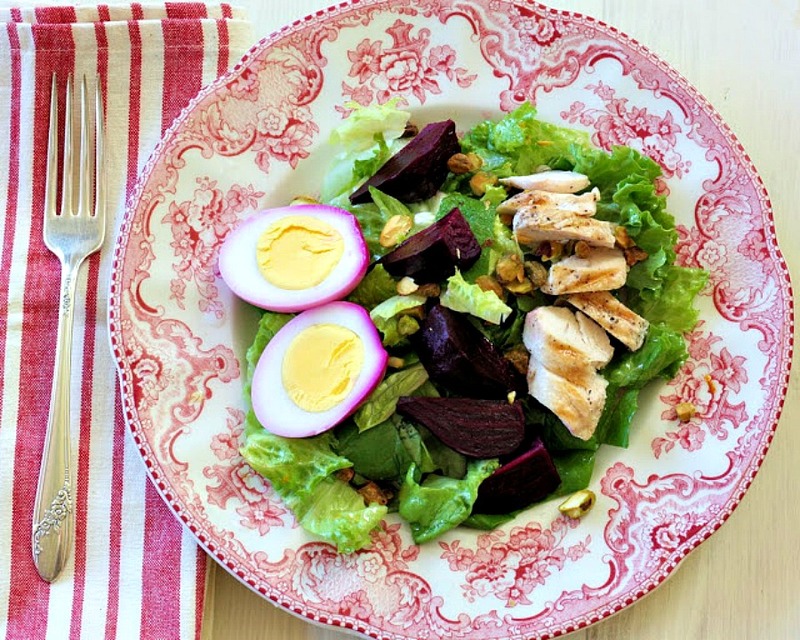 This has become my favorite weekly link-up!! Pretty pictures and ive read and loved southern lady since its beginning. Because of your post i got to discover the marmalade gypsy and enjoyed it!! Have a great evening! Thanks for hosting. I love your sweet party. Stacey, this is a terrific party. Thanks for getting it organized. Love the features with the different categories. Lots of talent in this group! thanks for coming by...always glad to see you. P.S. That French Country home tour was amazing. Better late than never - I know your party is on Thursday, but my post is usually on Friday or as in this case, in the wee hours of Saturday morning.